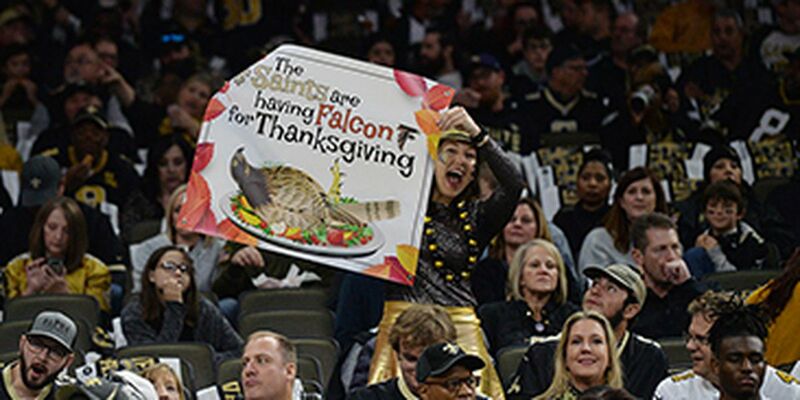 STREAKS, STATS AND NOTES — Saints have won two of past three overall and only previous playoff meeting in Superdome in wild-card round of 2000 season. ... Both teams have won their divisions two straight times. ... Rams’ 421.1 yards and 32.9 points per game led NFC. ... Rams had four players voted to Pro Bowl: QB Jared Goff, LB Cory Littleton, and two AP All-Pros, DT Aaron Donald, RB Todd Gurley. Donald was only unanimous All-Pro. ... Goff’s 4,688 yards passing in regular season ranked fourth in NFL. He completed 28 of 40 for 391 yards, three TDs and INT in Week 9 loss at New Orleans. Goff completed 15 of 28 for 186 yards in playoff win over Cowboys. ... Gurley led NFL with 21 scrimmage TDs. ranked fourth with 1,831 scrimmage yards in regular season. He rushed for 115 yards, TD last week, and has 100-plus yards rushing in each of previous two playoff games. ... RB C.J. Anderson rushed for 123 yards, two TDs last week. He has four TDs rushing in past four playoff games. ... Rams WR Brandin Cooks was Saints’ 2014 first-round draft choice. Cooks played first three NFL seasons with Saints, catching 215 passes for 2,861 yards and 20 TDs. He advanced to Super Bowl with Patriots last season. 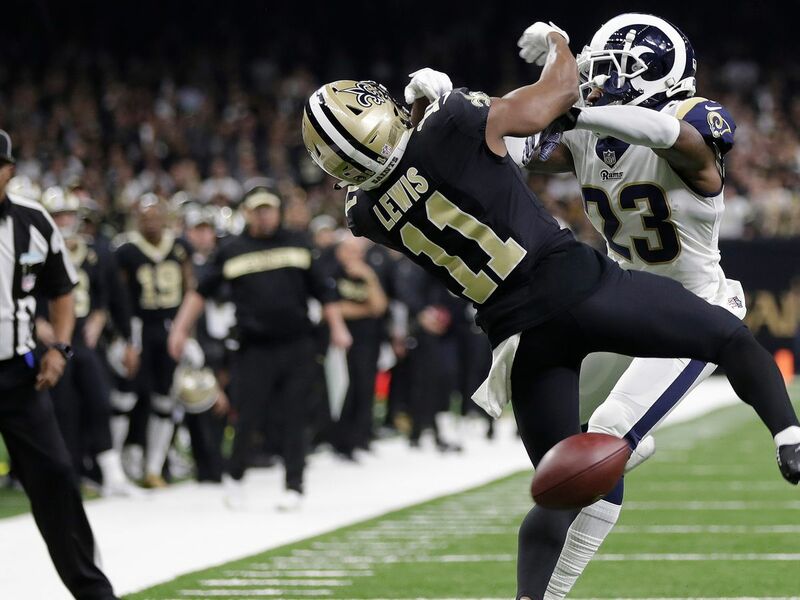 Cooks had 80 catches for 1,204 yards with Rams in 2018, his fourth season with at least 1,000 yards receiving. ... He had six catches for 114 yards, TD in Week 9 meeting. ... WR Robert Woods led Rams with career highs of 86 receptions for 1,219 yards. He had six catches for 69 yards last week. ... Donald led NFL with 20 ½ sacks and became 11th player since 1982 with 20-plus sacks in single season. Donald ranked first in NFL with 25 tackles for loss. ... Littleton led Rams with career-high 125 tackles. ... CB Aqib Talib had seven tackles, forced fumble last week. He did not play in previous meeting. ... Saints have won last seven home playoff games, starting with win over Rams under previous coach Jim Haslett. 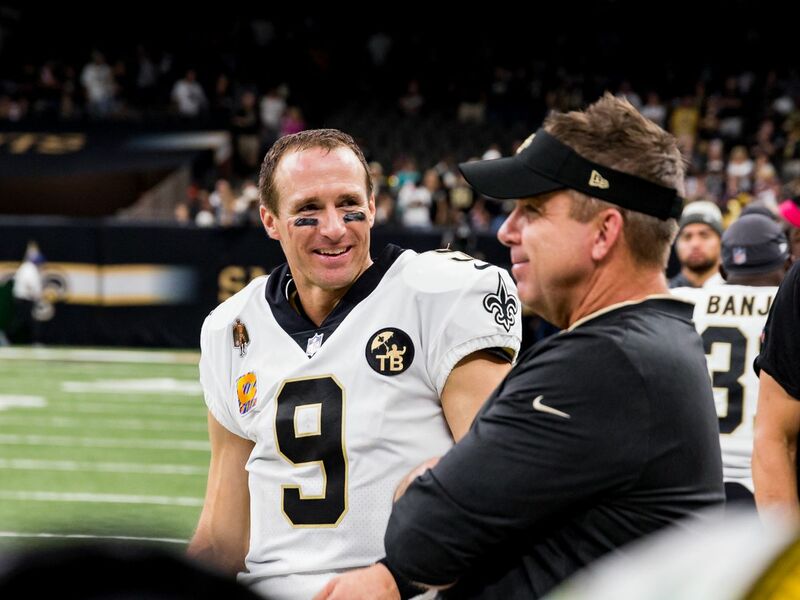 They are 6-0 in home playoff games since coach Sean Payton and QB Drew Brees joined Saints in 2006. 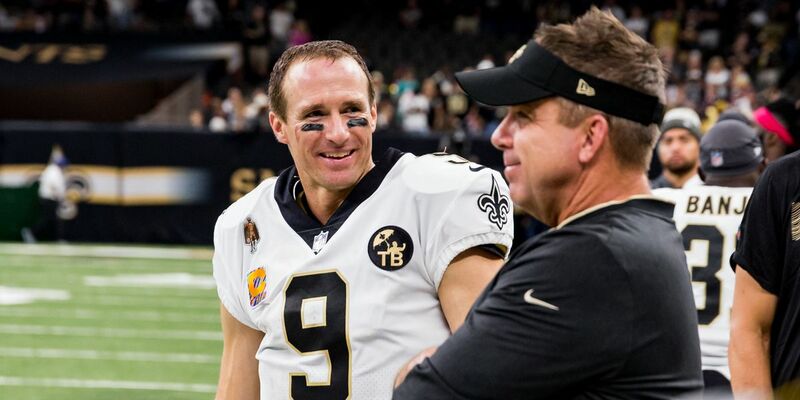 ... Payton has 8-5 playoff record, including 2010 Super Bowl win. 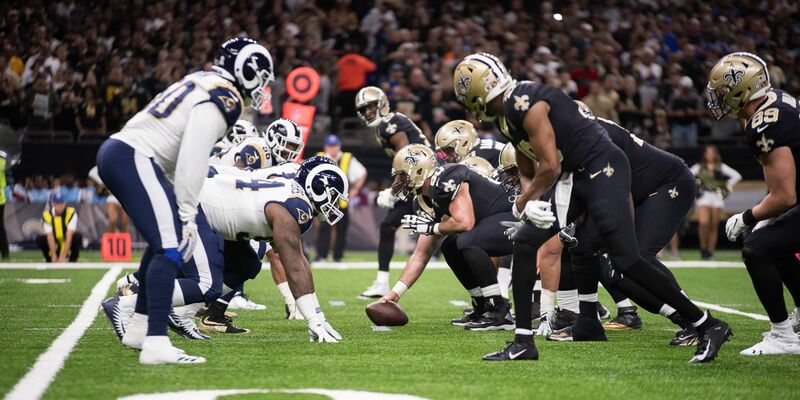 ... Saints had five players voted to 2019 Pro Bowl: T Terron Armstead, Brees, DE Cam Jordan, WR Michael Thomas, an All-Pro, and C Max Unger. ... Saints’ 31.5 points per game ranked third in NFL, one of three teams to average 30-plus points. 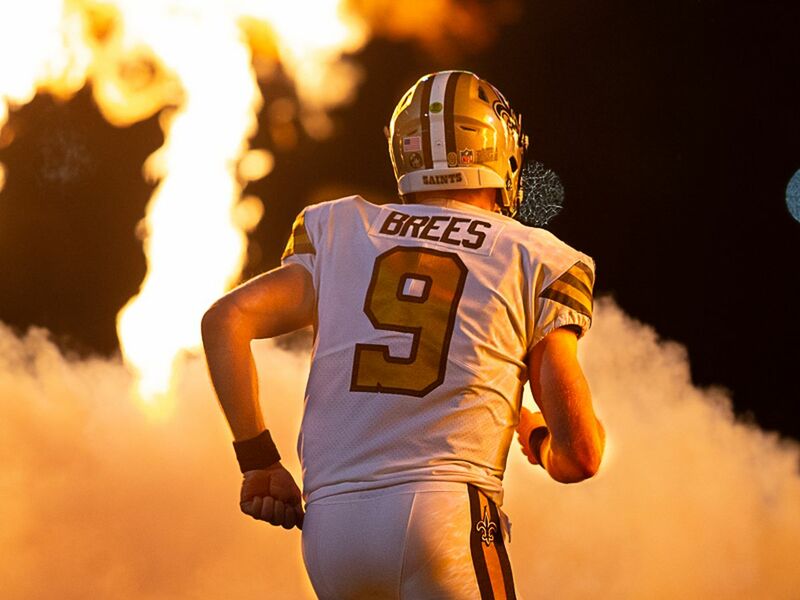 ... Brees had NFL single-season record 74.4 completion percentage (364 of 489) and led league with 115.7 rating in 2018. Brees, who turned 40 on Tuesday, completed 28 of 38 (73.7 percent) for 301 yards, two TDs, INT in divisional playoff win over Eagles. He’s averaged 322.1 yards passing in 14 career postseason games with 31 TDs, 10 INTs. ... RB Alvin Kamara ranked second in NFL with 18 scrimmage TDs (14 rushing, 4 receiving) and ranked seventh with 1,592 scrimmage yards in 2018. He had 106 scrimmage yards (71 rushing, 35 receiving) last week. ... Thomas led NFL with 125 catches and had franchise single-season record 1,405 yards receiving, surpassing Joe Horn’s 1,399 yards in 2004. Thomas had 12 receptions for 171 yards, TD last week, and had 12 catches for 211 yards, 72-yard TD in last meeting with Rams. ... Saints’ defense ranked second against run, allowing 80.2 yards per game in 2018, but lost top DT Sheldon Rankins to Achilles tendon injury last week. Rankins also was second on team with eight sacks. ... Jordan had 12 sacks in 2018, his fourth season with 10-plus sacks since Saints drafted him in 2011. He has 3½ sacks, three batted passes in his past five postseason games. ... LB Demario Davis led Saints with 110 tackles in first season with club, his second consecutive season with 100-plus tackles. Davis led Saints with eight tackles last week. ... CB Marshon Lattimore had two INTs last week, his first career playoff INTs.